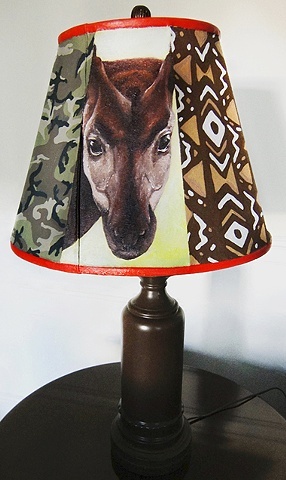 SARAH SMITH - "Congo Lamp"
The Congo region in central Africa is one of the worlds most threatened ecosystems. It is very biologically diverse and home to many different species of endangered animals such as okapis, forest elephants, gorillas, and bonobos. The numbers of these beautiful creatures are decreasing more and more as poor economic and political conditions, bushmeat hunting, commercial logging, mining, disease (Ebola virus), and deforestation continues.